Stop! Don’t throw away those brown bananas and waste food and money. 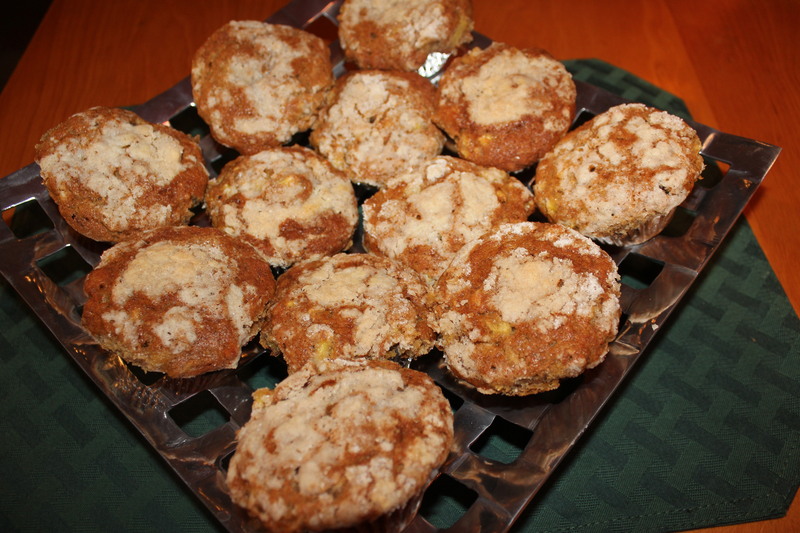 Instead, use them to make tasty banana-pineapple muffins with a wonderful streusel topping. 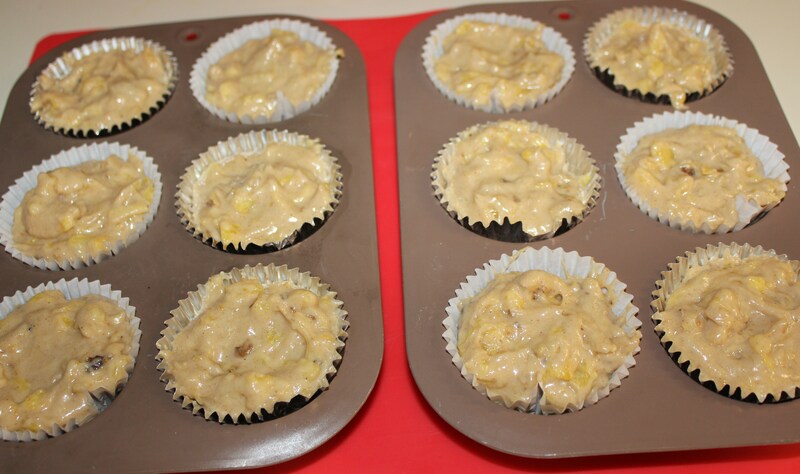 These muffins are extremely moist – your kids will love them and you will too! Preheat oven to 350 degrees F. Place paper or foil liners in the muffin tins for easy cleanup. Combine the flour, baking soda, salt, orange rind and cinnamon in a large bowl. In a separate bowl, mix the butter and brown sugar until creamy. I use an electric mixer for this step. 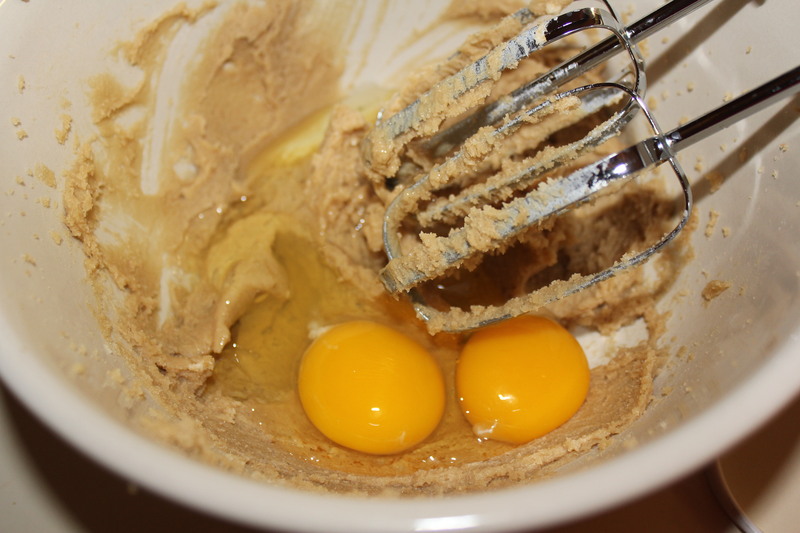 Add the eggs, and mix well. 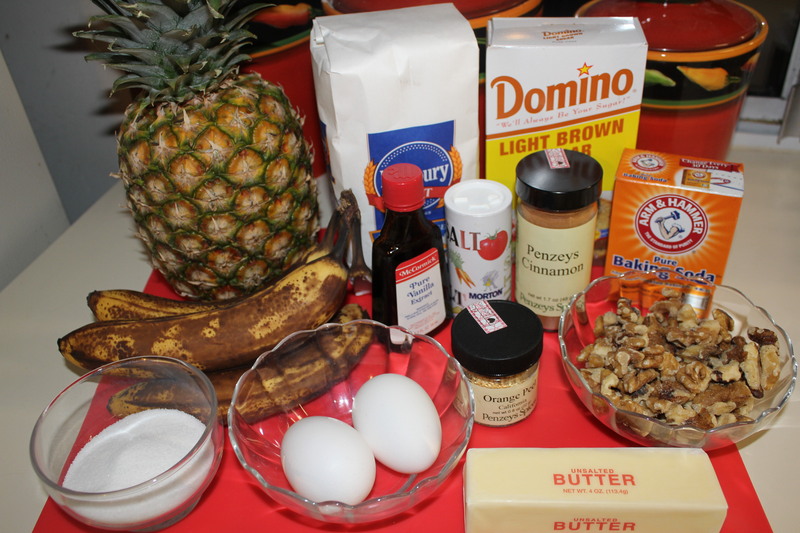 Add the bananas, pineapple and vanilla and stir with a wooden spoon until blended. 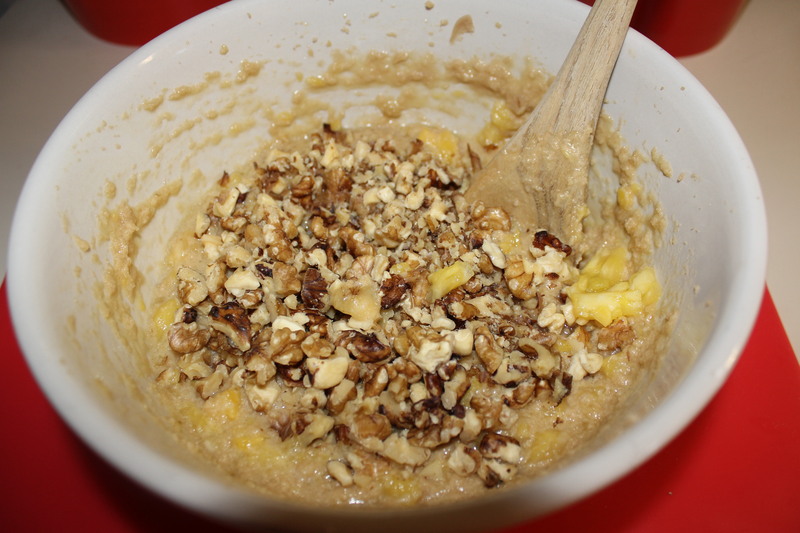 Add the banana pineapple mixture to the flour mixture, mix well and fold in the walnuts. Spoon the batter into each of the prepared muffin tins, almost to the top. 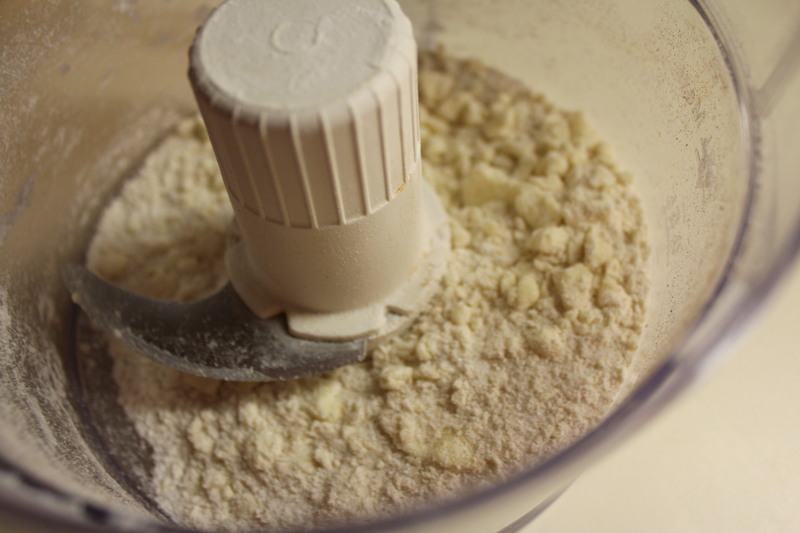 Prepare the streusel topping by placing all of the ingredients (sugar, flour, butter and cinnamon) in a food processor. Pulse until you have coarse crumbs – do not over process. Cover each of the muffins with the streusel topping. Bake for 25-30 minutes, until a toothpick inserted in the middle of a muffin comes out clean. Let cool for 10 minutes or so and remove the muffins from the pan. These are great in the morning with a hot cup of coffee or a glass of juice. 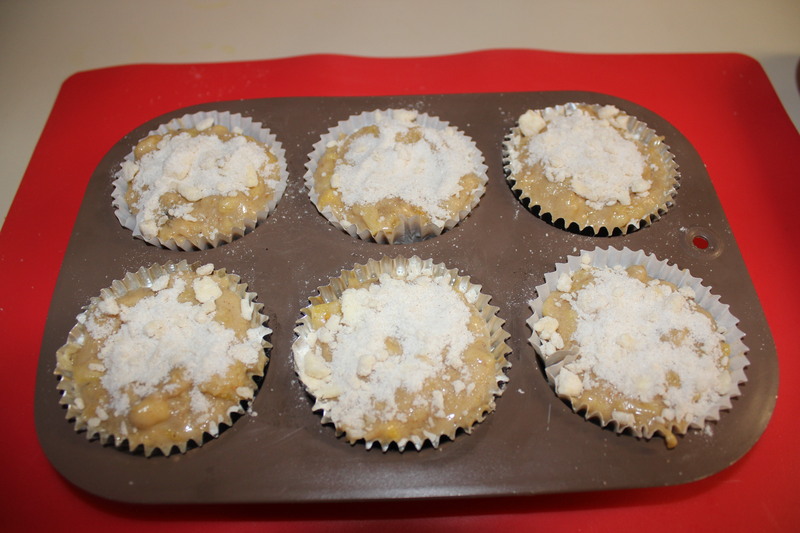 This entry was posted in Recipes and tagged banana nut muffins, banana pineapple nut muffins, eat drink and be merry, kel's cafe of all things food, kel's cafe recipes, Kelley Chisholm blog, muffin recipes, pineapple banana muffins. Bookmark the permalink.